But there were other revelations, too, as well as some context that might be surprising to those who came upon the show after it folded. “Breaking Bad was not a ratings hit, not a household name, not a show that earned a spot in the zeitgeist for several years,” author Emma Dibdin writes. And AMC? Well, when creator Vince Gilligan heard they wanted to meet about his pilot, he responded, “AMC? The channel where they play Short Circuit 2 ten times a day?” At that point, Mad Men had yet to air. 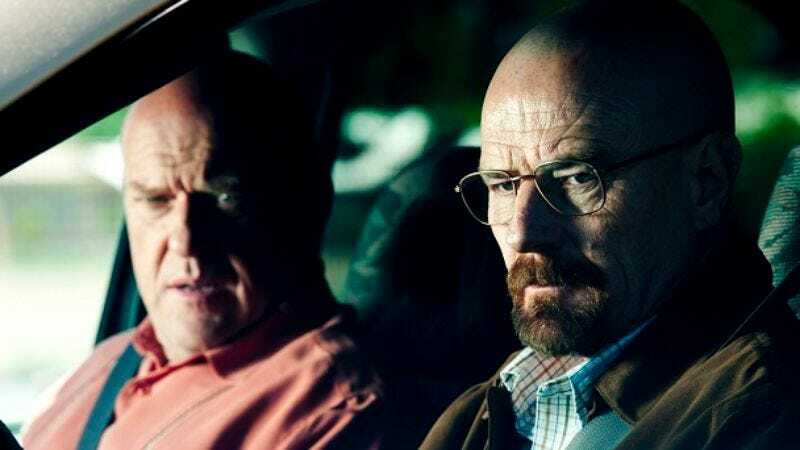 And while it’s fascinating to read about the show’s slow climb to popularity and just how important streaming video was to that process (“[Netflix] really saved our bacon,” says Bryan Cranston), it’s the what-ifs that truly spur the imagination. It’s long been known that Gilligan initially wanted to kill off the character of Jesse Pinkman in the show’s first season, but didn’t due to the talent he saw in Paul. But what fewer people know is that Gilligan almost chose to kill off another major character instead. Read the entire oral history over at Esquire.